Want to save a lot of money from your monthly car payments? 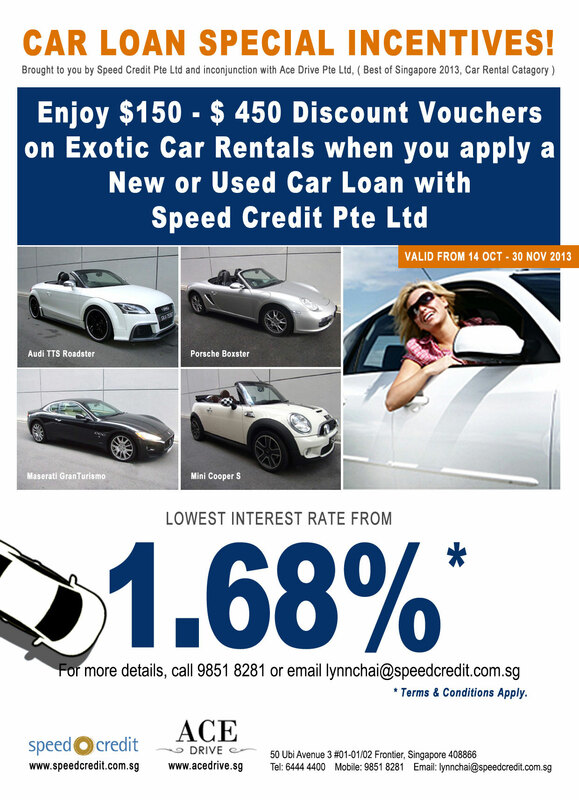 Speed Credit specializes in refinancing car loan which can help you get a much lower loan rate. Getting the cheapest possible car loan rate through refinancing will help lower down your monthly payments. Refinancing your current car loan through Speed Credit can help you save hundreds to even thousands of dollars of savings throughout your loan tenure. Our application process for refinancing is fast, easy and convenient. Our Refinancing Car Loan Service’s aim is to help our customers get a better term and the cheapest possible interest rate which will result to a much lower payment .Contact us today at +65 6444 4400 for more information. If interest rates have dropped since you purchased your vehicle. Which means that if your interest rate is significantly higher than what you could get today, you can indeed save a lot of money. If your credit score improved a lot. If your credit status is now healthier since you purchased your vehicle, you may qualify for a lower interest rate. Sudden financial crisis. If you are having some financial setbacks then refinancing your car will help reduce your monthly installment and lengthen your loan term. Thus, lowering your monthly payment. Contact your current finance company to get your outstanding balance amount. Should your current finance company ask for the full settlement date, it should be one day before your installment is due. Once you already have your full settlement amount, please fill up our refinancing application form for a much faster processing. Once sent, our car finance specialist will contact and advise you on the necessary procedures, instructions and documents needed for your car refinancing application. Applicable to private passenger cars only. Applicant’s current interest rate should be 3% and above loan must be from a local bank. Minimum loan amount for refinancing is $30,000. Applicant should not be under a cash rebate scheme. For as low as 1.6% p.a. For more information about our refinancing car loan rates, you can contact our friendly car finance specialist, Lynn Chai at +65 9851 8281.